Special accessories for Survey & Construction instruments. 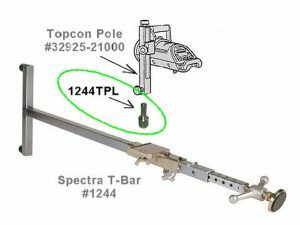 Mount your Topcon TPL series pipe laser on the more common Spectra (Trimble) 1244 T-Bar (cross brace) with our adapter. Topcon pole and handle are required and not included. Mark positions of Feed Throughs, Drill holes, Anchors and other locations, on the floor or overhead, with our Prism Pole Permanent Marker adapter. Replace the point on the end of your prism pole with our Prism Pole Permanent Marker adapter, level up the pole, and push to mark layout points for interior construction. Push and drag to “flag” the mark for better visibility. Fits any prism pole with 5/8″-11 stud. Uses readily available permanent marker (included). Easily transfer point location to overhead structures with our Overhead Spot Pointer. Install our OSP on top of your Trimble or Topcon 360° robotic prism, level up your prism pole, and our bright laser dot marks the 2D location overhead. No need for a second process to transfer layout marks from floor to overhead. Perfect for interior construction layout. NuMark is now a Carlson Centric dealer supporting Surveyors and Contractors in Virginia and Western Maryland. 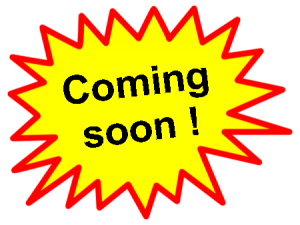 Click here to see our selection of Carlson Products.